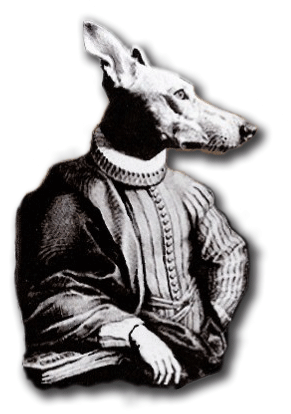 Juan de Dios García is a green dog that works in all literary magazines that can, knowing the business scope they get. In book form it is unpublished, awaiting a generous patron. He has won the poetry prize Monroy, prepare your dissertation on the play by Alejandro Casona, has written short essays and lectures about Lorca, Borges, Ruben Dario, Horacio Quiroga, … recognized Melómano, in his verses they can shine echoes as disparate as Manolo Caracol, Bob Marley or Stravinsky. Composes and adapts to the Flemish singer Curro lyrics Piñana. These poems are in his book Words in water, a complex device in which the marine and literary language is based. I can drink fire lograrte poultry. So, as fast as you breathe thud. I came to see you to lose a secret. It is the same as drinking wine waterfront? God! It is true what you call into question. Words can create other worlds. Leave me the coast if you desire to go away. with the cry of children in ports. creéos water forest not want to be wild. We must all be wild one day. with wine, wind, and the death of the waves. DAVID LOPEZ SANDOVAL is a novelist, but here we will you please write some short poems. His first published book Journey to Parnassus (1999), a very funny and clever satire against the “official” Spanish publishing system in these times is entitled. He has won numerous national and regional awards. The last one was the consolation prize of the Young Murcia 1999 accounts. It looks set to be at least one San Bernardo. This Cordoba has lived in Barcelona, ​​Morocco, and for some years living in Murcia, married, works as a waiter at the famous Zalacaín cafeteria and is writing his doctoral thesis on The Primero. a sea that throw and be saved. what is this shadow body. the astonished streetlights funny flooded rooftops. under hurricane impatient asking my clothes. and none was able to confirm my suspicions, no one knows your name. They ignore your body than mine. and I choose red odd and almost always for you my love. and you would wait in the rain. Antonio Llorente is the director, with Hector Castilla, of the poetry magazine La Galera. His poems always leave a trail gloomy reading, and also an air of irony, but consistently painted by an indefinite sadness, because of its strong skepticism. Poems for the painful joy of those moments that life brings. This purebred Dalmatian performs and organizes recitals few can; the last of which took place in Cartagena, following the tribute to the master Borges last year, organized by the poet José María Alvarez surrendered. when I have no hurry. and personal memory has no witnesses. It is impossible to deny what it reflects. in this dream I am chill. It is, consoles and looks. until the bird is rendered. we will give your sound. with a touch and the whistle of a night. and we will stay, we will stay simply.